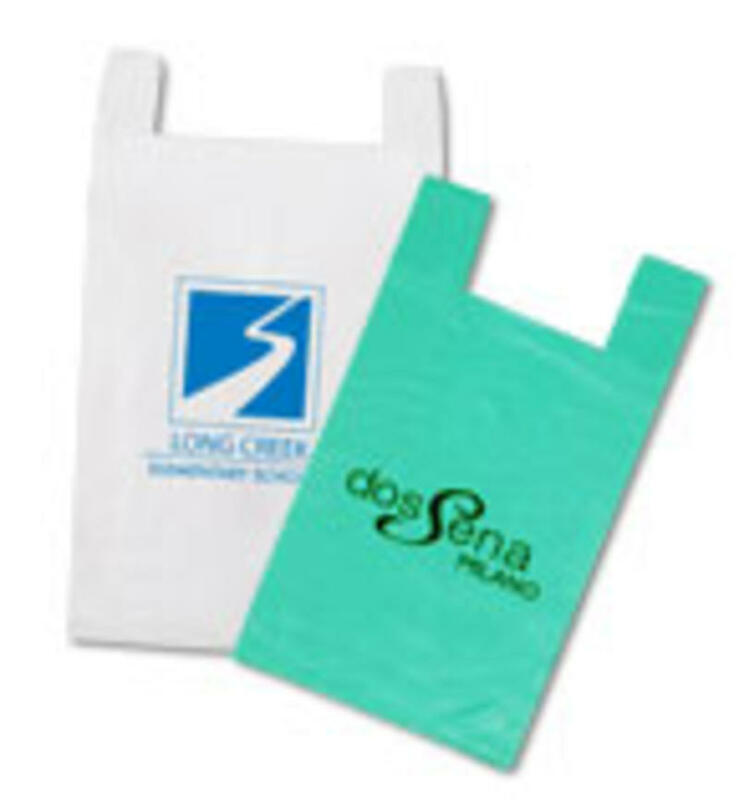 Plain T-shirt bags, an economical choice for your shop, company or during your event. 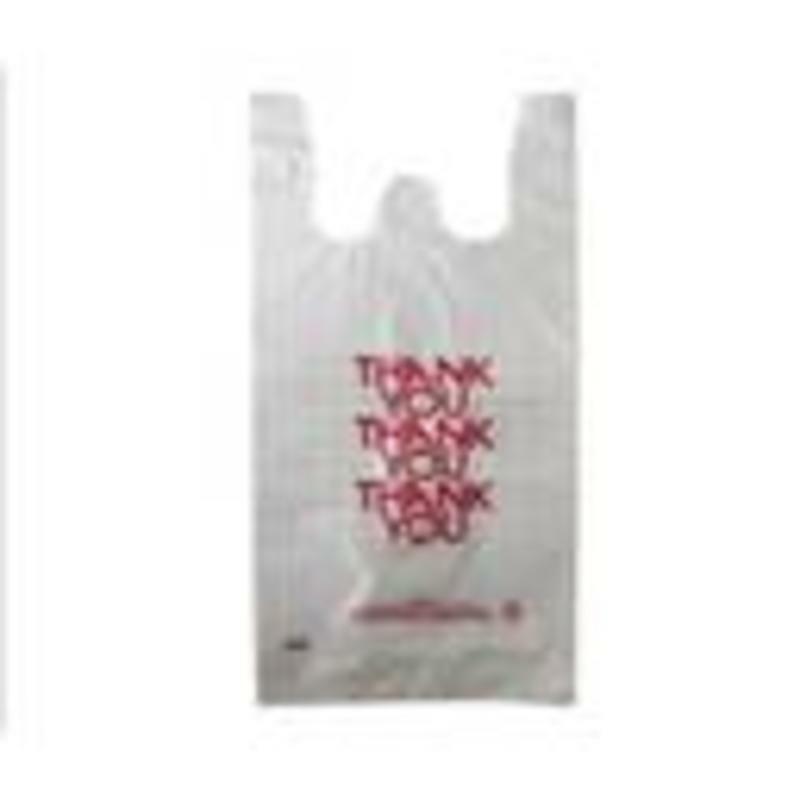 The bags can be used for holding books, groceries and/or any other product for a short time. 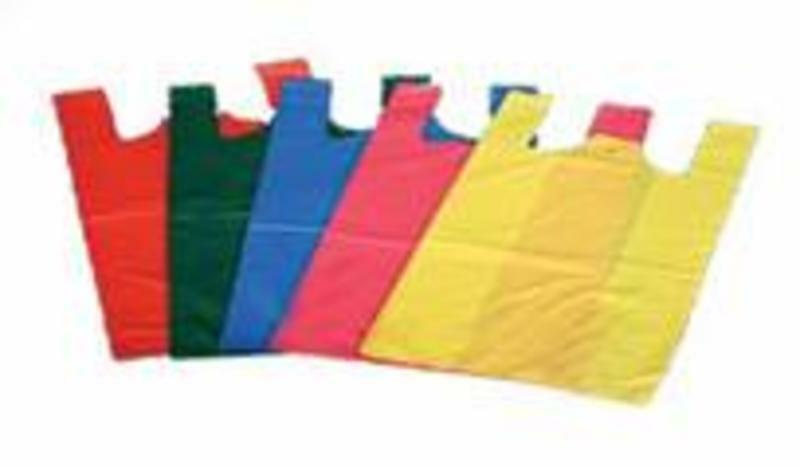 Strong high density gusseted bags resist punctures and tears. The large handles make the bags easier for carrying. The bags are reusable. 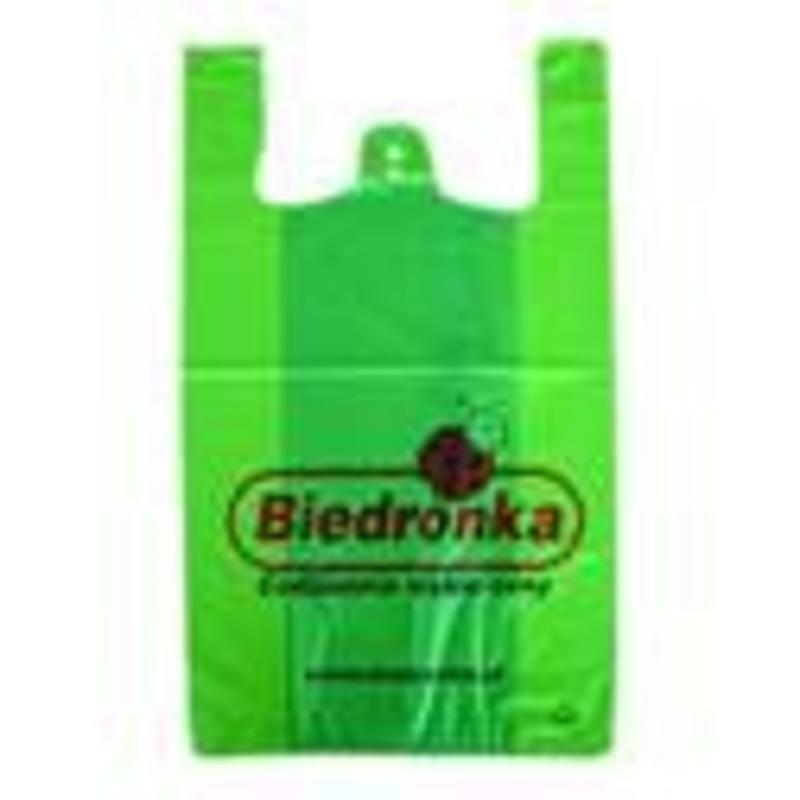 The T-shirt bag can be printed with your own custom design; for example your companies name, a brand slogan or any other advertisement. Have a look downstairs for an indication about the prices and delivery time or contact us for more information about the possibilities.